Chris and Pam Maxey along with the Board of Directors were able to celebrate Dave Singer and Diana Kapp during a magical dinner at the Vetter House up high in the hills of Marin County. David and Chris Maxey are old college friends and Dave and Di have literally been supporting The Island School journey since the beginning. Dave and Di are well known for the panga that bears their name and works tirelessly to launch students and faculty out on research and diving expeditions. 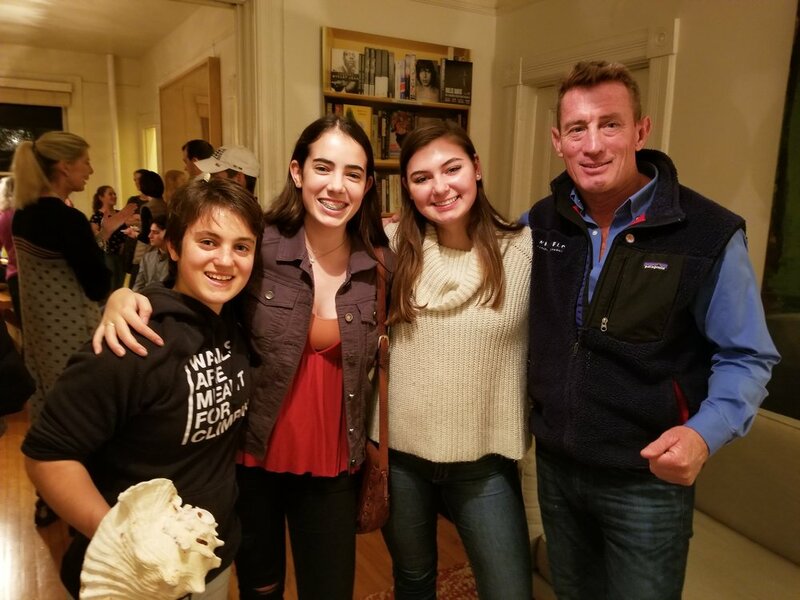 Perhaps their greatest gift and the reason for the Osprey Leadership Circle recognition is their lasting commitment to support a scholarship for a local Bay Area student who is part of the College Track program. For the past six years the Singer-Kapp Family scholarship has launched a deserving student to participate in The Island School Summer Term. The new Osprey Leadership Circle has been established to celebrate families and foundations committed to supporting ongoing scholarships that help Island School build bridges to diverse communities around the world.